Kevin M. Hedley, MS, CPA, PFS has over 30 years of tax and accounting experience with individual, small and mid-size businesses, as well as providing representation before the Internal Revenue Service and New York State Department of Taxation and Finance. Kevin is a frequent lecturer on the topics of taxation, business administration and management and is also a frequent guest on local television news programs. Kevin has taught individual Income tax at the State University at Albany; business valuations at New York University and corporation tax, partnership tax, family tax planning and trust and estate taxation at Siena College. Kevin has been an expert witness New York State Supreme Court on tax and accounting matters. Kevin is a 1994 graduate of the State University at Albany with a Master of Science – Taxation degree and a 1987 graduate of Siena College, Loudonville, NY with a Bachelor of Business Administration degree. Kevin has also earned the prestigious Certificate Education Achievement in Personal Financial Planning. Kevin is a member of the American Institute of Certified Public Accountants (AICPA) and the New York State Society of Certified Public Accountants (NYSSSCPA). 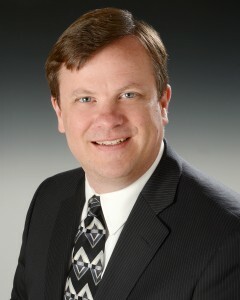 He is a member of the NYSSCPA Personal Financial Planning Committee. Kevin is a member of the Saratoga Chamber board of directors, is an active volunteer with American Red Cross, and is a past chair of the Board of Directors. Kevin has been involved in many charitable organizations. David Kobylar, CPA, CDFA™ has over 20 years of tax and accounting experience with individual, small and mid-size businesses, as well as providing representation before the Internal Revenue Service and New York State Department of Taxation and Finance. Dave is the only local Certified Public Accountant who is also a Certified Divorce Financial Analyst®. Prior to joining the firm as partner in October 2008, he served eight years as controller for one of the area’s largest heavy equipment dealerships. This industry experience helped Dave understand what is necessary for an entrepreneur to be successful and allows him to apply that knowledge to his clients. Prior to his controller position, he owned a successful CPA practice and served various industries including real estate, construction, manufacturing, distributorships, retailers, restaurants and professionals. Dave is a 1989 graduate of Siena College, Loudonville, NY with a Bachelor of Business Administration degree and a 1987 graduate of Hudson Valley Community College, Troy, NY with an Associate of Science degree. Dave is a member of the American Institute of Certified Public Accountants (AICPA), the New York State Society of Certified Public Accountants (NYSSSCPA) and the Institute for Divorce Financial Analysts™ (IDFA™). As a volunteer, he currently serves and has previously served as treasurer, board member and Finance Committee member for various local not-for-profit organizations. 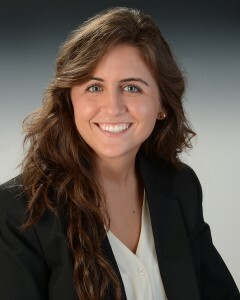 Kristen E. Bus, MS, CPA is a Siena College, Loudonville, NY alumnus who received her CPA certification in July 2013. She received her Master of Science – Accounting in May 2011 and received her Bachelor of Science – Accounting from the same institution in May 2010. Kristen has been with Hedley & Co., PLLC since 2009. 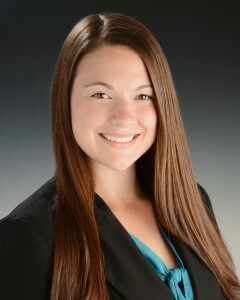 Kristen started out as an intern and quickly demonstrated her dedication to the accounting field securing her several advancements and job titles throughout the years including staff accountant, senior accountant and currently manager. Her main focus at the firm is corporation and partnership tax preparation, tax planning and financial statement preparation. She also enjoys helping clients use and manage their QuickBooks and other accounting programs to their fullest potential to help analyze and make smart business decisions. Joanna Piscitella joined Hedley & Co., PLLC shortly after graduating from Hartwick College, Oneonta, NY with a Bachelor of Science – Accounting, CPA degree and a Bachelor of Science – Business Administration degree in May 2014. As a staff accountant at the firm, Joanna is involved in tax preparation and providing QuickBooks bookkeeping services to a number of clients. As a volunteer, she enjoys participating in community service for local not-for-profit organizations. 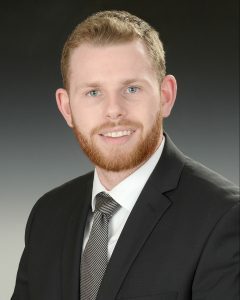 Joshua Schaninger joined Hedley &amp; Co., PLLC shortly after graduating from Siena College, Loudonville, NY with a Master of Science – Accounting in May 2017, along with his Bachelor of Science – Accounting in December 2015. Joshua began his first internship with the firm in November 2014 and has now returned to the firm as a staff accountant. Joshua is involved in tax preparation and providing QuickBooks bookkeeping services to a number of clients. Joshua is currently pursuing his Certified Public Accountant certification. He enjoys volunteering as a basketball coach for local CYO programs as well as other local organizations within his community. 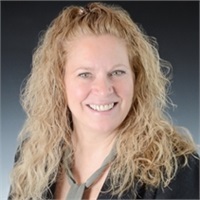 Belinda Cross Kucharski joined Hedley & Co., PLLC in March 2016 with over 20 years of experience in the banking and financial services industry holding positions such as a Premier Portfolio Manager and Regional Sales Manager. In addition to her role in leading the firm’s business development, Belinda holds her Series 6 and 63 Securities Licenses as well as her Life, Accident and Health Insurance License. She is responsible for cultivating and developing both new client and current client relationships and is also a Financial Adviser with Hedley Kobylar Wealth Management Group, LLC. Belinda has an Associate’s Degree in Business and Marketing from Clinton Community College in Plattsburgh, NY. She is a very active member in the community, volunteering and serving on various nonprofit boards including CAPTAIN Youth & Family services, Chamber Angels of Southern Saratoga Chamber of Commerce, Shenendehowa Rotary and the Ronald McDonald House. since December 2008. Her primary role is to maintain client relations and act as a liaison for our wealth management clients as well as our fund managers. In addition to being a NYS Notary Public, she also helps with scheduling, monitoring and responding to client emails and phone calls, plans our company events and provides back office administrative support to our professional staff. 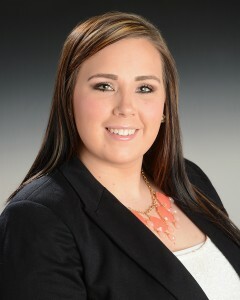 Shelly has an AAS in Marketing from Hudson Valley Community College in Troy NY. She is an active board member of the Shenendehowa Cheerleading Booster Club and volunteers for many local charities. Megan J. Wetsel has over 9 years experience in the service industry and has served as a mid-level manager before joining Hedley & Co., PLLC. Her primary role for the firm is providing administrative support to the professional staff while maintaining the front office. Her many duties include appointment scheduling and client communications, as well as managing our paperless filing system. Megan is also a NYS Notary Public. She enjoys fundraising and volunteering her time for local charities.